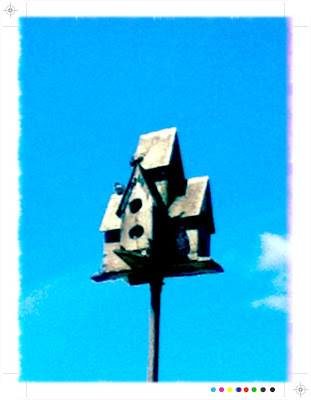 Our neighbor's birdhouse is the most happening birdhouse I've ever seen. One day I had to scare a crow away. He was trying to get some eggs, I believe. I hope I was successful.